Hi friends and happy Tuesday! I hope your week is off to a great start! Naturally, it’s super chilly here and while I love this weather, I am also dreaming of our next tropical vacation! Because sipping pina coladas, listening to the sound of the waves crashing sounds pretty ideal to me today! 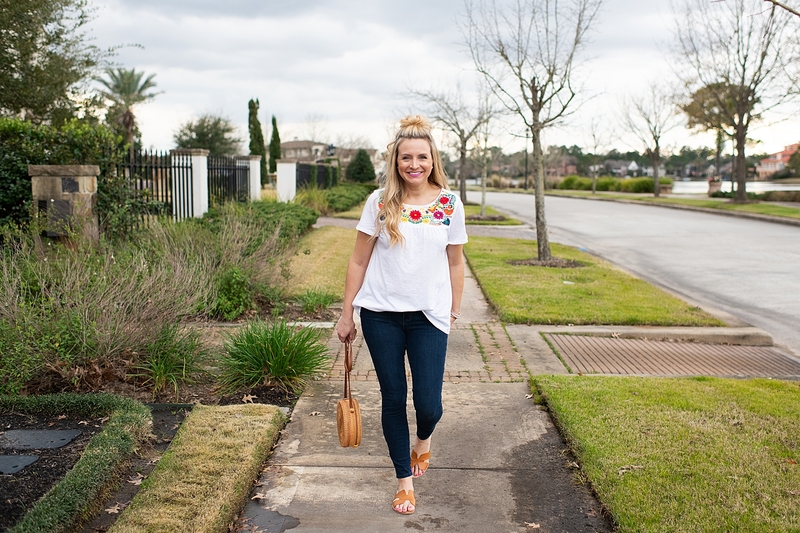 I’m super excited to share my picks from my friend Cassie of Hi Sugarplum’s new resort collection with Gibson available exclusively online at Nordstrom. You my remember her first collection from last spring and it was such a huge hit! 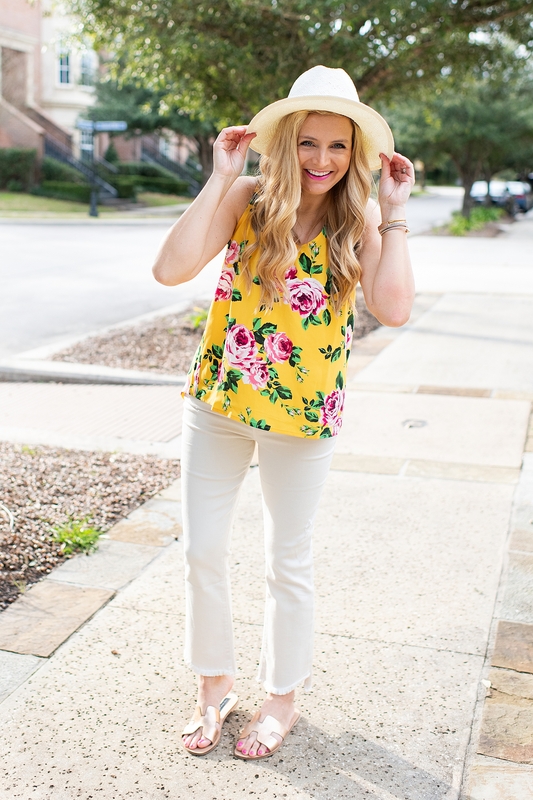 She throws in all the colors and prints that we love, while making these pieces affordable! Her new resort collection launches today and I was so excited to get my hands on a few of these pieces early. Truthfully, I wished I could have gotten one of everything, because I loved the whole collection! 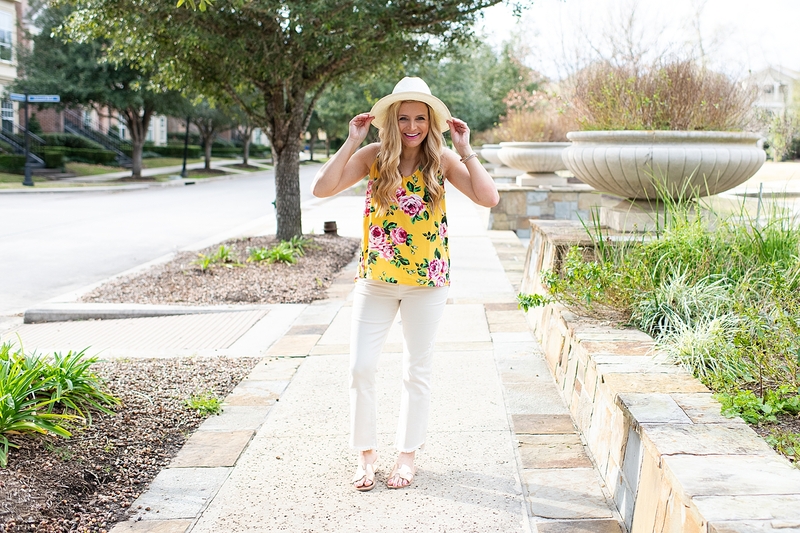 Even though the line is called a “resort” line, I wanted to note that all of these pieces are wonderful and fabulous options for spring, whether you are taking a vacation or not. 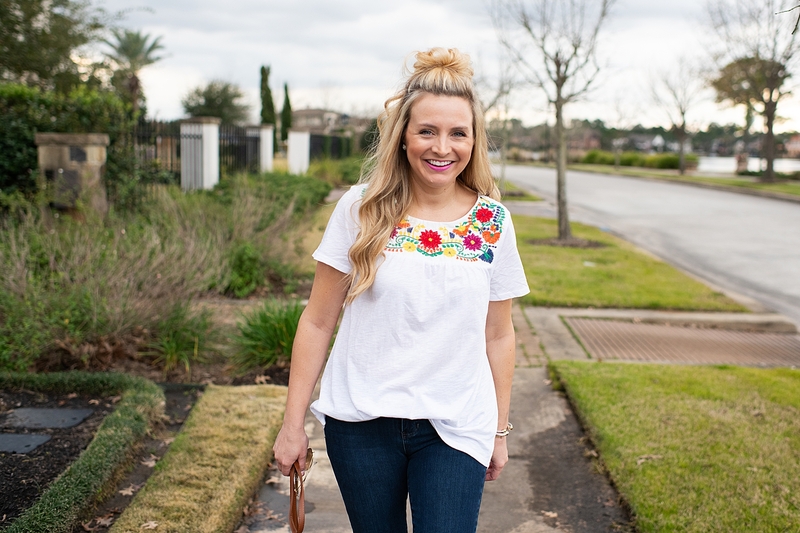 I am showing you how I would/will wear these in my daily life and want you to be able to incorporate these pieces into your spring and summer wardrobe. 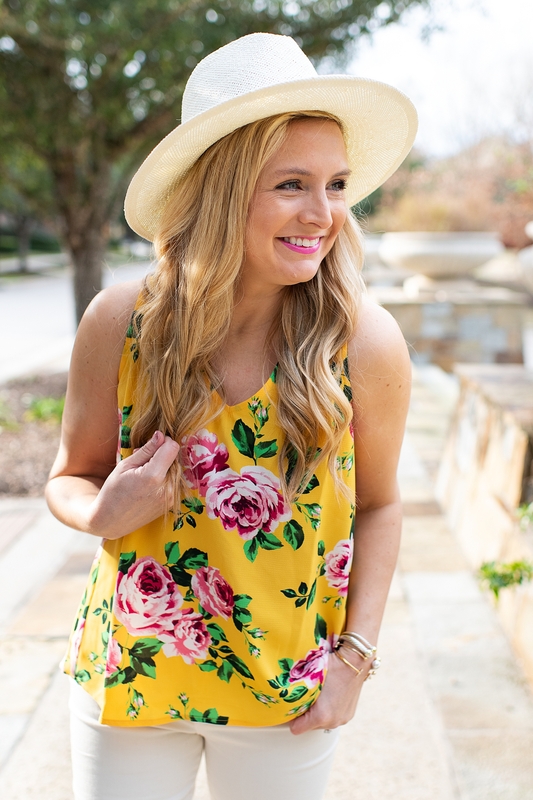 Whether you are heading somewhere tropical or headed to school for pickup or headed to lunch or dinner with friends, these pieces are sure to be a great addition to your wardrobe. 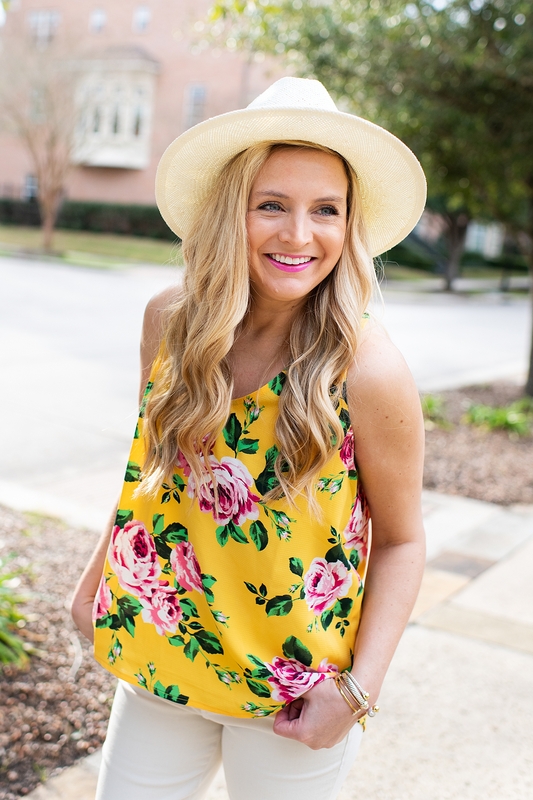 The line is full of color and fun and so perfect for spring and summer! I am so proud of my friend and so happy to support her today as she launches her new collection with Gibson. Community over competition is definitely key in the influencer business and I think it is so important to find a circle of friends who cheer you on in all endeavors. I’m glad to say that Cassie is in my circle and I am just so proud to support her today! Love you, friend and congrats on another fabulous collection with Gibson! At the bottom of this post, there are links to the whole collection! 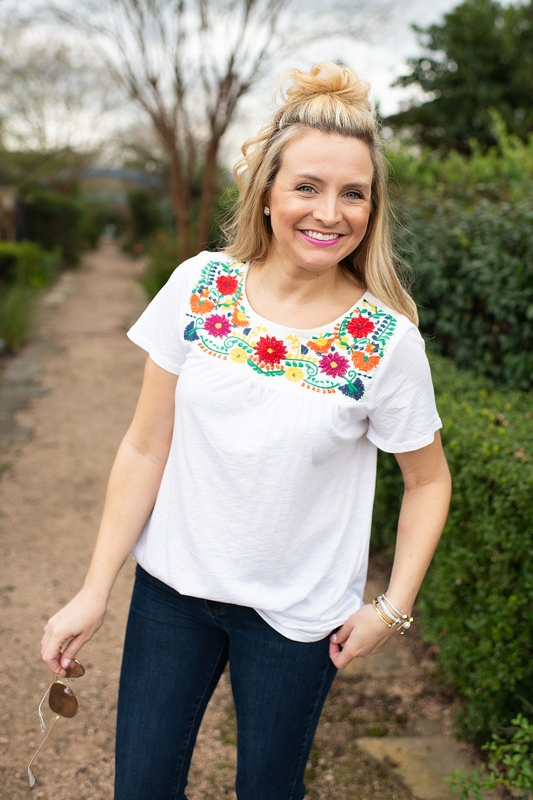 For sizing reference, I am 5’2 and I wearing an Extra Small in everything, but the embroidered top and it ran big (in my opinion), so I wish I had ordered an XS (as opposed to a small, which is what I have on) in that as well. The line comes in regular, petite and plus size, which is awesome! I’ve linked all sizes at the bottom of this post! They are preparing for a potential sellout, so don’t wait on ordering if you love something! 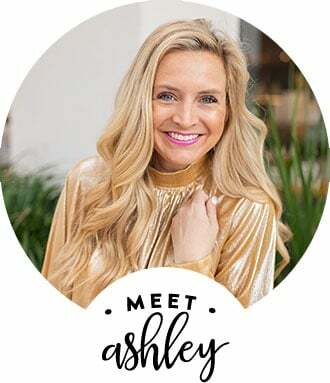 As always, thank you for using my links to purchase, it helps keeps this fancy little blog up and running and lets Nordstrom know how much my readers love to shop there. 🙂 Take a peek at the new Gibson x Hi Sugarplum resort collection! You will love it! The HALTER and WIDE LEG ANKLE PANTS – This halter is back from Cassie’s first collection, for round 2. These halters are fabulous and really so versatile! I’m super excited to share it two ways. I am a huge fan of the mixed prints and patterns, so I loved the halter paired with the ankle pants. 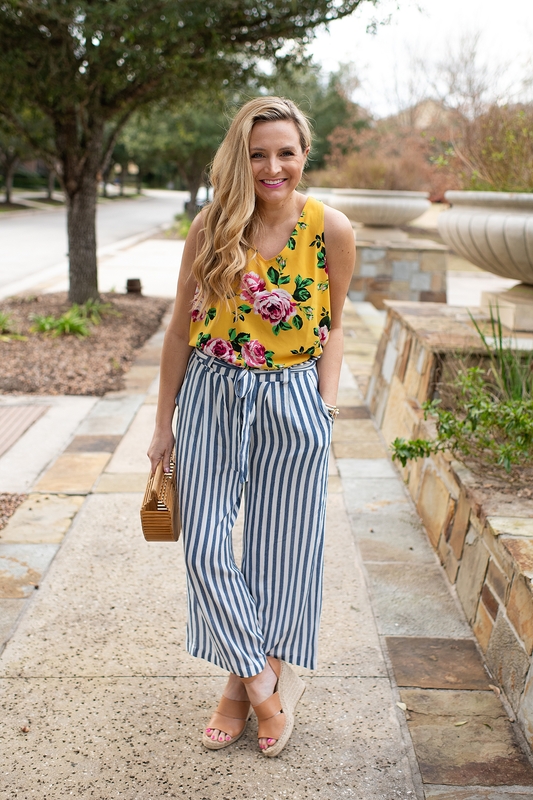 The HALTER – If you’re not into the wide leg ankle pants, consider pairing this halter with a fun pair of denim! While they would look fab with blue denim, I just loved them paired with this cream pair of DENIM! You can beat a halter like this that goes well with everything! 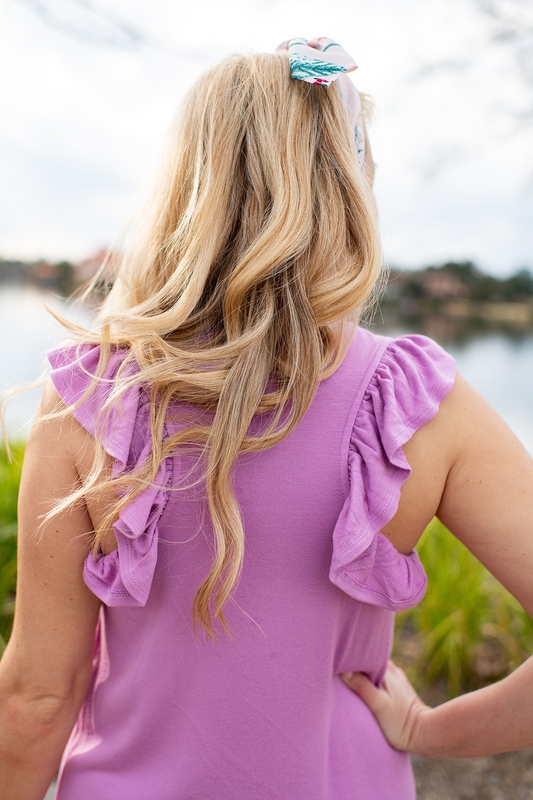 The RUFFLE BACK T SHIRT DRESS – Because we all need those dresses that we can throw on as we are running late for school dropoff, right? The dress is great and definitely a fave! I would recommend sizing up for a more loose fit. I did the XS in this and wished I had done a small for a bit more loose of a fit! 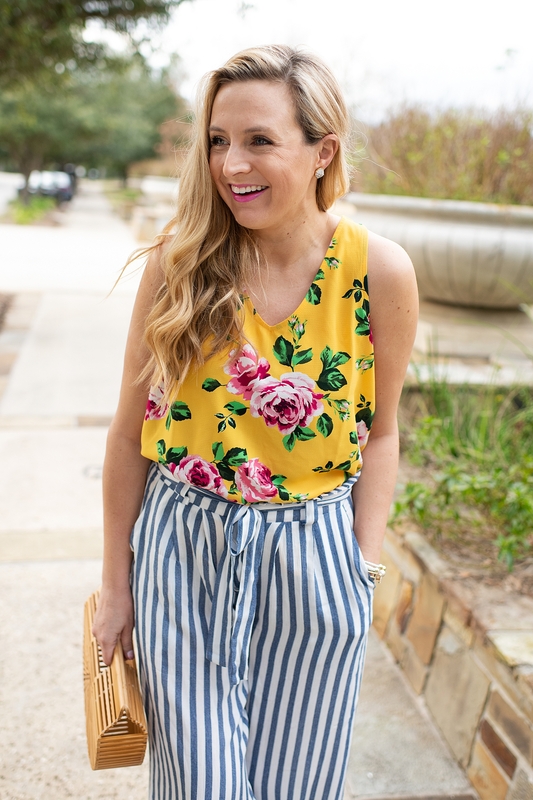 The RUFFLE HEM ROMPER – You know I love a good romper and this one is legit! 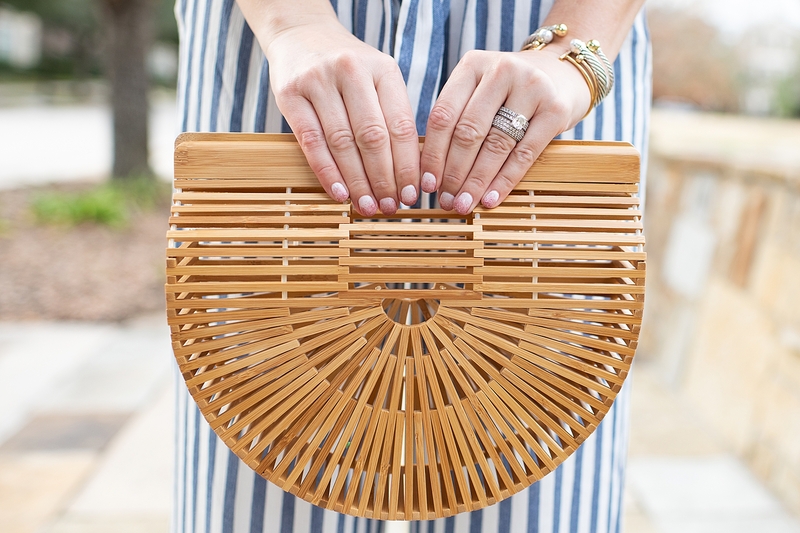 Dress is up or dress it down and you are set for a vacay lunch or dinner or a spring soiree! 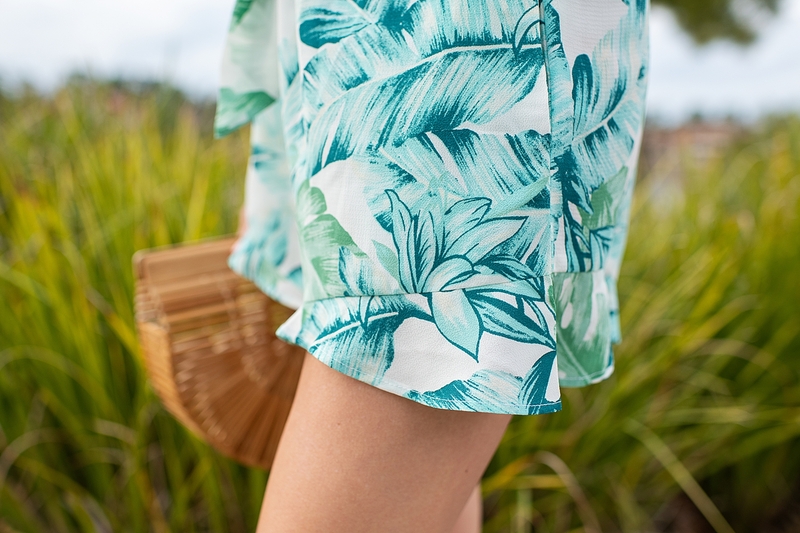 The EASY LOUNGE ROMPER – This romper is ideal for lounging or heading to the pool. Wear it for school pickup and lunch with friends. Throw on a denim jacket and take it from winter into early spring. This one is definitely a must in at least one color, or be like me and grab it in a few colors! The EMBROIDERED TEE – This one needs no explanation! It’s fab, so run, don’t walk and grab it before it sells out, because it will! 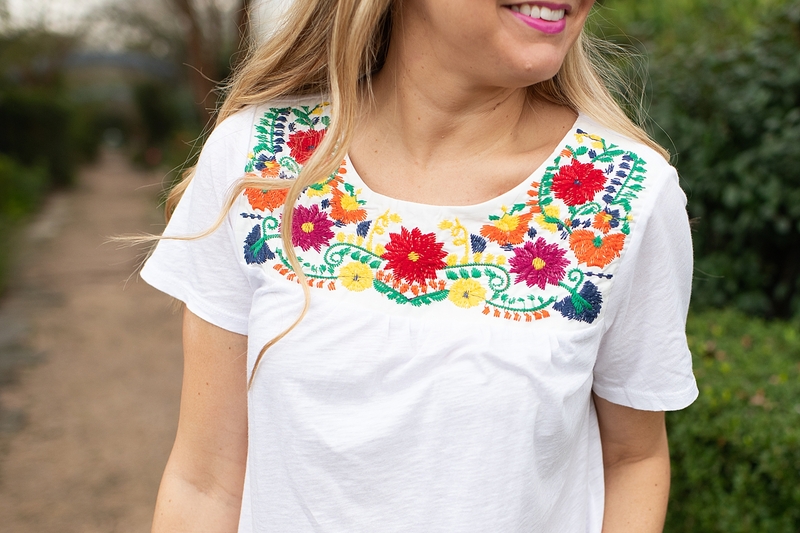 It comes in other colors, but the multi colored embroidery is perfection! So, there you have it! Those are a few pieces from the Gibson x Hi Sugarplum collection. See the full collection HERE and shop more of my favorites below! Don’t forget to order asap because they are preparing for a potential sellout! Have a great day! XO! If you liked this post, checkout My Travel Day Essentials HERE and my Friday Favorites HERE! Could you BE any cuter!!?? You look darling in everything…now all we need is a girl’s trip!! Thank you for sharing the love, friend!